People would think that most frequently used laser would be the most effective. Of course the effectiveness is important, but what’s more important than effectiveness is safety. I think that a device that can provide good effect without a side effect in 10 out of 10 patients is superior to a device that provides great effect in 8 patients but undesired side effects in the remaining 2 patients. INTRAcel is a fractional radio-frequency (RF) device manufactured by Jeisys. At first, I purchased it out of curiosity – a curiosity to find out the effect and advantages/disadvantages of a newly released device – rather than for the purpose of purchase itself. INTRAcel can be used for lifting purposes when treating wrinkles and reduced elasticity or for the treatment of acne scars. 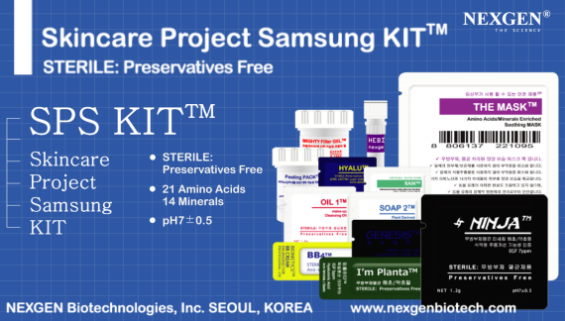 I currently own 3 more devices for scar treatment in addition to INTRAcel. But I usually recommend INTRAcel first to patients hoping to treat acne scars, because it carries lower risk of side effects, such as pigmentation and erythema, compared to other fractional devices, rather than for its superior therapeutic effect, as mentioned in the introduction. Pain is the drawback of INTRAcel. As mentioned earlier, the advantage of INTRAcel is the safety compared to other fractional lasers. For this reason, it has become a trend to perform the procedure at a higher level than the parameter supported by the manufacturer when the device was first released. Because it is safe, the procedure is performed more strongly, thus causing more pain. Of course the pain is not particularly severe compared to other fractional lasers. Possibly the operators’ desire to achieve greater effect from single stronger procedure would have led to increased pain. The procedure can be performed with ease by controlling the strength and the method of anesthesia. Indications of INTRAcel include depressed acne scars, large pores, acnes, wrinkles, skin elasticity, and lifting. Like any other fractional lasers, INTRAcel can leave redness or pigmentation after the procedure. Despite its relatively low risk of side effects, stronger procedures or control error of penetration depth may still cause pigmentation and redness, in which case the redness may be recovered well by Cynergy Multiplex laser and pigmentation by laser toning. INTRAcel makes the skin swollen or reddened for 3-5 days after the procedure, which is amenable without needing a day off from work if the procedure is performed during weekends. I prefer to use INTRAcel for depressed acne scars in combination with other devices for acne scar treatment (such as Starlux 1540 and Pearl Laser). Erythema developed during the scar treatment or depressed acne scar accompanied by redness can be effectively managed by combination with Cynergy Multiplex laser. Medlite C6, manufactured by HOYA ConBio, is a Q-switched Nd:YAG laser with a laser toning function. As agreed by a lot of dermatologists, Medlite C6 is the most stable device for laser toning. Recently, RevLite, an upgraded version of Medlite C6, has been released. However, I prefer Medlite C6 so much so that I don’t even feel the need to upgrade the device, because Medlite C6 alone is sufficient to treat patients with melasma or refractory pigmentation. Medlite C6 is the most frequently used laser device among those that I own. It required flash lamp replacements but is still working fine without a minor trouble. I have not used many other laser toning devices, but constant and even power, the most important aspects of laser toning, are advantages of Medlite C6. Medlite C6 laser does not have a notable limitation, except for the relatively higher price than the laser devices manufactured in Korea and decreased effect when removing epidermal blemishes at 532nm mode, due to the difficulty of use compared to other Q-switched lasers. I also experienced some troubles when using 532nm wavelength in the first 1 year, although now I can use it without much difficulty after asking for advices from other dermatologists. Other than melasma, Medlite C6 can also be used widely for refractory pigmentations, including acquired bilateral nevus-of-Ota like macule (ABNOM) and postinflammatory hyperpigmentation (PIH). When using Medlite C6 for laser toning, major side effects would not develop if the strength was controlled properly. However, when treating melasma, the interval of procedures and treatment strength should be controlled properly, or side effects such as rebound hyperpigmentation and mottled hypogpimentation may develop. This is true for any other device of laser toning. Since Medlite C6 laser beam is relatively safe, it may carry less risks of rebound hyperpigmentation and mottled hypogpimentation after laser toning compared to other devices. Medlite C6 alone can be used for laser toning, but dual laser toning in combination with Cynergy toning (Genesis procedure utilizing Cynergy 1064nm long pulse), is more common and is safer and more effective than C6 laser toning alone for melasma resistant to other laser toning or those accompanying rebound hyperpigmentation and mottled hypogpimentation. 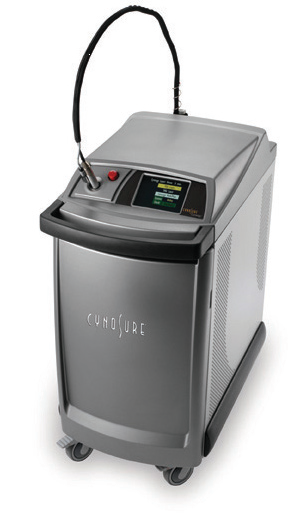 Cynergy Multiplex, manufactured by CYNOSURE, is a device combining 585nm pulsed dye laser and 1064nm Nd:YAG laser. Each laser can be used separately or sequentially on a multiplex mode. When opening the clinic, I hesitated a lot before purchasing Cynergy Multiplex laser, because vascular laser is not the top priority among practitioners like IPL, Q-switched laser or fractional laser. Moreover, the other devices can replace vascular laser to a certain degree. I was also worried if Cynergy Multiplex could be utilized in practice as much as its expensive price. However, there are some areas of vascular laser that cannot be replaced by other devices (such as hemangioma, redness from acne, facial flushing and rosacea). Furthermore, it can be applied to various types of skin diseases (including melasma, reduced elasticity and side effects). Cynergy Multiplex is particularly reliable when treating patients with skin sensitivity or erythema developed as side effects of a procedure, because it has an excellent capability at skin recovery and cooling down. Financial burden can be the disadvantage of Cynergy Multiplex. The truth is, every vascular laser is expensive. Apart from the unit price, maintenance costs are expensive as well. PDL requires periodic replacement of the dye, which is quite costly. Because Cynergy Multiplex laser procedure is performed rather a lot in our clinic, the dye is replaced every 2-3 months on average, costing around 15 to 20 million won per year for the dye replacement and other overall expenses. The maintenance costs for every other PDL lasers are just as high as Cynergy Multiplex laser, of course. Among the two component lasers (585nm PDL and 1064nm Nd:YAG) of Cynergy Multiplex, 1064nm Nd:YAG does not require very expensive maintenance cost; therefore, the issue of maintenance cost can be redeemed by controlling how the device is utilized (I’m using Cynergy Multiplex without much complaint about the maintenance cost because higher maintenance cost means more procedure and, therefore, greater sales). The maintenance cost can be reduced if the dye is not replaced as often. However, it would be silly to idle an expensive device. Before purchasing Cynergy Multiplex, it would be wise to weigh expected number of patients treatable with it (such as those with acne or vascular diseases). I use Cynergy Multiplex mostly for acne, acne erythema, facial flushing, rosacea and melasma. It can also be used for hair removal, capillary, hemangioma and other skin diseases. Cynergy Multiplex hardly develops side effects, making the operators comfortable to select it. Of course, too strong irradiation can lead to a side effect, including bruising at the site of irradiation, which normally disappears within 7-10 days. Severe bruises may leave a pigmentation, which can normally be recovered by Medlite C6 laser toning in combination with a whitening therapy. Cynergy long pulse (1064nm) at high strength may leave blisters and then depressed scar at the site of irradiation. Since scars are difficult to be restored to the original state, care should be taken every time when using a long pulse. I prefer to apply Cynergy Multiplex procedure (Cynergy 585nm short pulse + 1064nm long pulse combination) once a month together with 2-week interval Genesis procedure (Cynergy 1064nm long pulse alone) and skin regeneration care one week after the laser procedure.